The Washington Wizards open their 2018-19 season on October 18 against the Miami Heat, but it’s their second home game that has the most intrigue. After taking the Toronto Raptors to six games in last year’s opening round of the Eastern Conference playoffs, the Wizards welcome the new-look Raptors—featuring new acquisition Kawhi Leonard—to D.C. for a playoff rematch on October 20. Once again led by John Wall and Bradley Beal, the Wizards host the champion Golden State Warriors on January 24 for the ultimate test. A intriguing Friday night matchup against Russell Westbrook, Paul George, and the Oklahoma City Thunder is on November 2, and the longest homestand of the season begins on November 12 against the Orlando Magic, followed by the Cleveland Cavaliers (Nov. 14), Brooklyn Nets (Nov. 16), Portland Trail Blazers (Nov. 18), and L.A. Clippers (Nov. 20). The Wizards host an overseas home game in London against the New York Knicks (Jan. 17), and in keeping with tradition, a Martin Luther King Jr. Day matchup comes to D.C. when the Detroit Pistons visit on January 21. 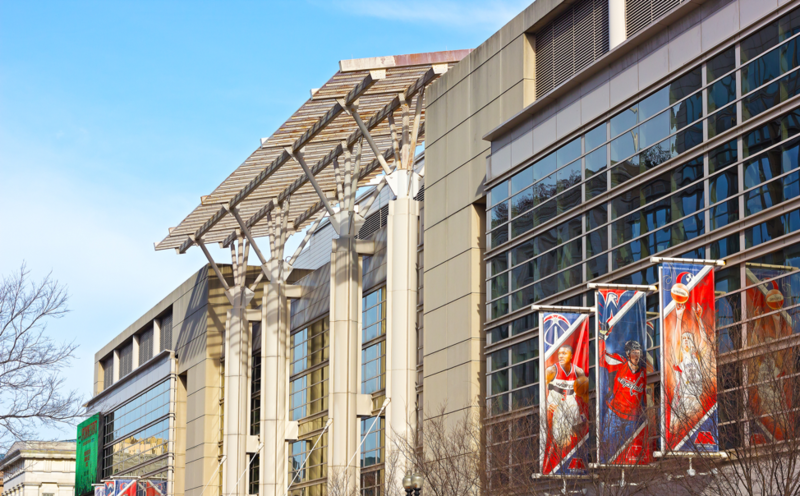 The Wizards play their home games at Capital One Arena in D.C.’s Chinatown neighborhood. The illustrious D.C. sports venue is home to multiple other teams including the NHL Champion Washington Capitals and the NCAA Georgetown Hoyas basketball team. The arena sits atop the Gallery Place Metro station and is part of a sprawling urban entertainment development complex. Stay up to date on the Wizards all season on Twitter @WashWizards.